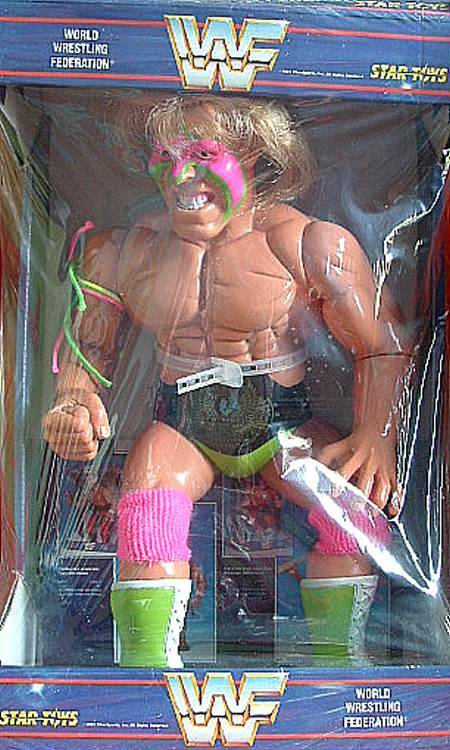 I was looking for pictures of the new Warrior America Ring Giant, and I came accross this 1991 version of Star Toys of Spain's interpetation of Ultimate Warrior...it is said this figure stands at 14". Anyways, I figured some of you guys would like to take a look at it, and maybe someone would have more information on this strange assortment. These seem to get on here alot. There was Warrior,Jake Roberts, Hogan and a few others. They were made in Spain from Star Toys like said. There's a new Ring Giants Warrior? There was also a Hacksaw Jim Duggan. They were released in Europe only by Star Toys of Spain. Oddly enough they pop up on a regular basis on the German eBay site. 4 have been made for sure Hulk Hogan, Jake Roberts, Ultimate Warrior and Hacksaw Jim Duggan. I own these 4 MIB. Hogan appears to come withn either a 'gold' cross necklace or a red bandana. I have seen pictures of the Big Bossman (and even won the auction for it... but never got the figures), but that might have been a custom figure. Why are they packed so dodgy? 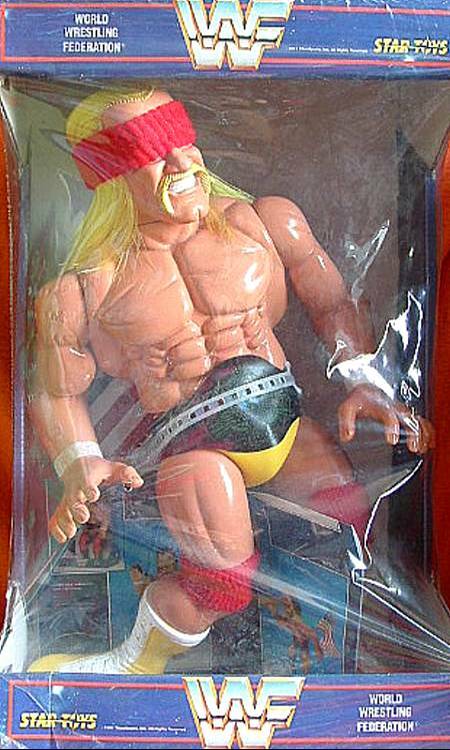 In the '90s most bigger figs were packed like that... It's just that In Spain they didn't really look if the fig's packaged right or with the legs wrong. There are actually 5. Warrior, Hogan, Bossman, Jim Duggan and Jake Roberts. 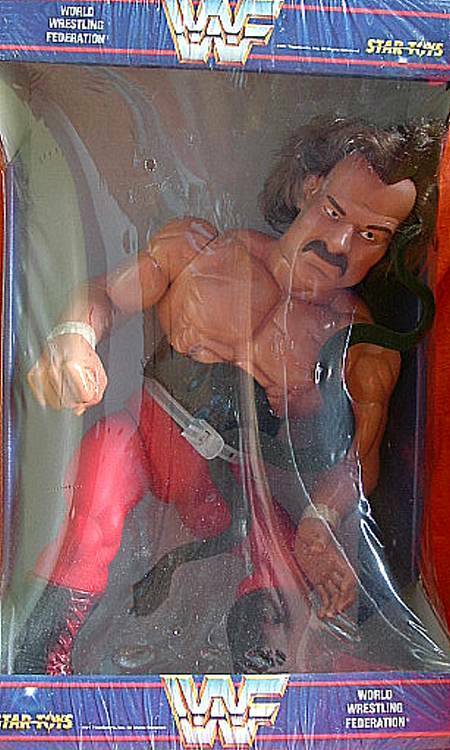 There's a Jake "the snake" Roberts on Ebay at the moment. They do look quite freaky I wouldn't turn my back on them for a minute thise things look like they will come to life and kill you lol. do you still have the bossman pic? Yea, they use to be pretty common on ebay but don't show up as much nowadays, I have never seen a bossman one, didn't even know one was suppose to exist until stom posted his reply. .